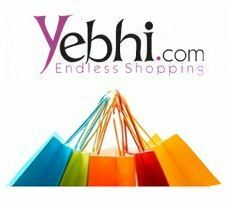 Yebhi is giving Rs 100 off on purchase of Rs 150 and above. They have a huge range of products to buy. Just follow the below steps and purchase using Rs 100 coupon. How to get Rs 100 off on purchase of Rs 150 and above? Hushbabies.com started a lucky draw where everyone is winner, all you need to do is to fill a form and enter in this free lucky draw. At the end of the lucky draw one person will win free shopping of Rs.5000 and best part is that every participant will get 1000s of exciting offers from Hushbabies. Note: Last time Hushbabies ran similar lucky draw and that time they have given coupon through which you can buy many products at Re.1, so chances are you might get something like this again too.